When professor Jason Roth stepped into his new class at Ivy Tech, it was set up like a traditional classroom: rows of desks with chairs and a projector screen at the front. The room hadn’t been updated since the ‘90s. In addition to changing the room design, Roth wanted to purchase equipment upgrades to provide students with the tools and resources found in the workplace, including 3D printers, laser cutters, workbenches, and shop tools. When professor Jason Roth stepped into his new class at Ivy Tech, it was set up like a traditional classroom. With 32 locations across Indiana, Ivy Tech houses some of the best building information modeling (BIM) and manufacturing design training programs in the state. As the assistant dean for the school of advanced manufacturing, engineering, and applied technology and program chair for design technology, Roth’s number one priority is making sure that students from their program graduate and find jobs in their field. Before making any changes to the lab, Roth wanted to understand how functional manufacturing workshops operate today. Together with his colleague Jamie Hamilton, associate professor for design technology and mechanical engineering technology, he connected with local manufacturers, architectural firms, and contractors. Find resources to help integrate 3D printing and encourage hands-on learning in classrooms and labs. 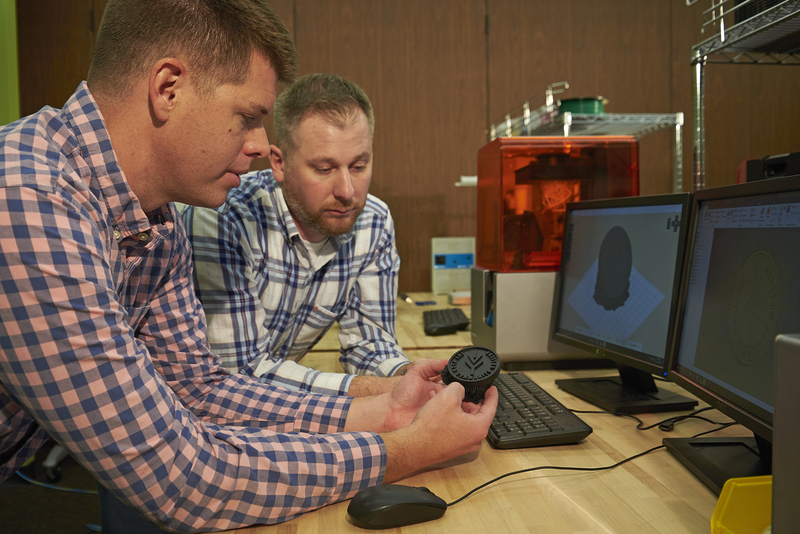 Jamie Hamilton (left) and Jason Roth (right) teach in the design technology program at Ivy Tech and worked together to rebuild the university’s fab lab. First, Roth and Hamilton’ changed the rows of computer desks into “pods” and added butcher block maple lab benches. Everything&ndash;including the whiteboard&ndash;was put on wheels and made fully mobile so it was easier to move tables, tools, and machines where needed throughout the course. The whole setup was designed to be rearrangeable for other classes that use the same space. Only the computers and three cabinets remained stationary. The team also added a new wall-mounted touch screen video board and 75” television for showing demonstrations. 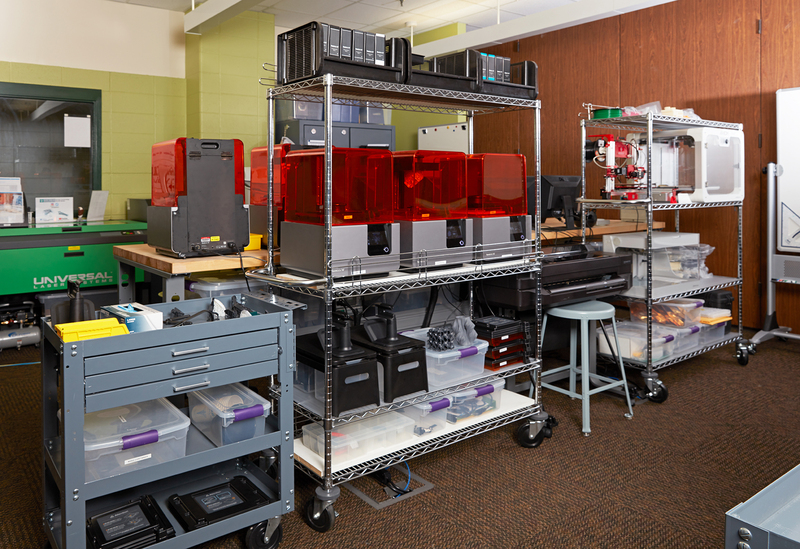 Learn more about what you need to set up a shared space with multiple desktop 3D printers. Download our white paper for a list of supplies, management tips from our own in-house print farm, and more. 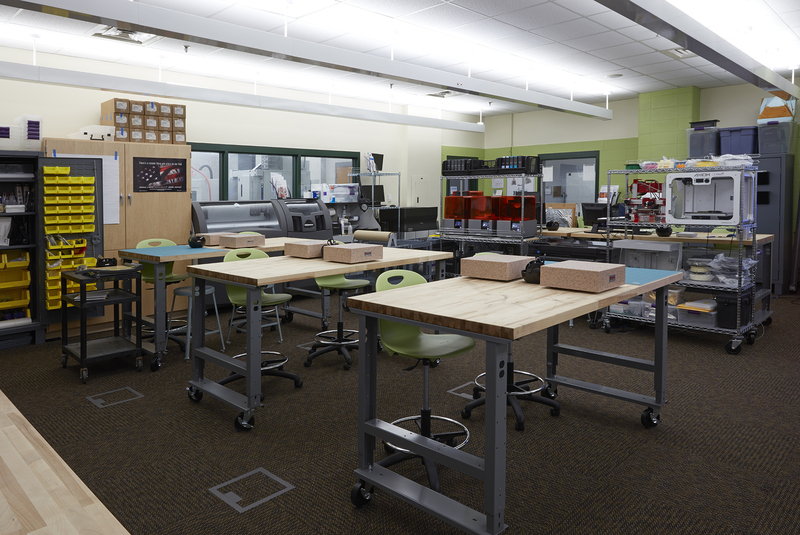 The renovated fab lab includes moveable benchtops, 3D printers, and supply storage units. Both instructors wanted to integrate 3D printers into engineering and CAD curriculum, especially to teach students how to prototype. Most importantly, through job placement partnerships with local manufacturers and architecture firms, Ivy Tech discovered that CAD and 3D printing skills were highly desirable for employers. 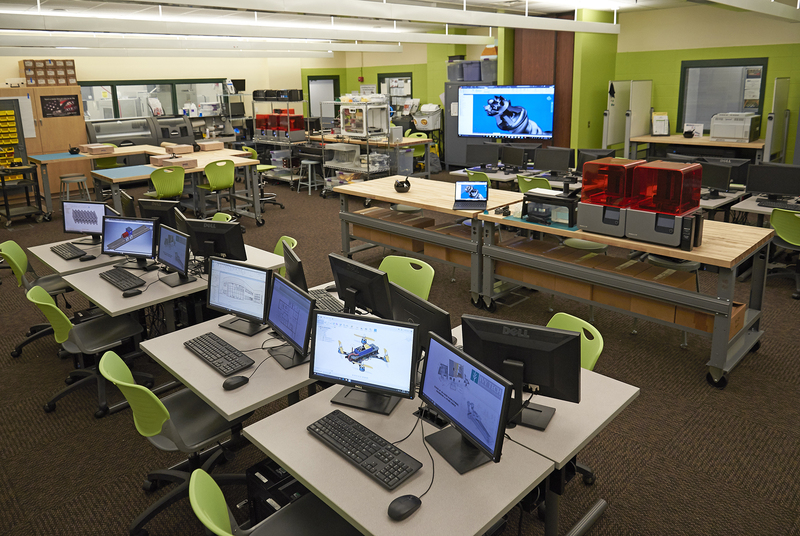 Ivy Tech has six Form 2 3D printers, and offers students a variety of materials to teach prototyping and iterative design. Hamilton decided to purchase Formlabs’ Form 2 stereolithography (SLA) 3D printer for the lab. They started with six Form 2 3D printers, and have since added a variety of materials to teach prototyping and iterative design. 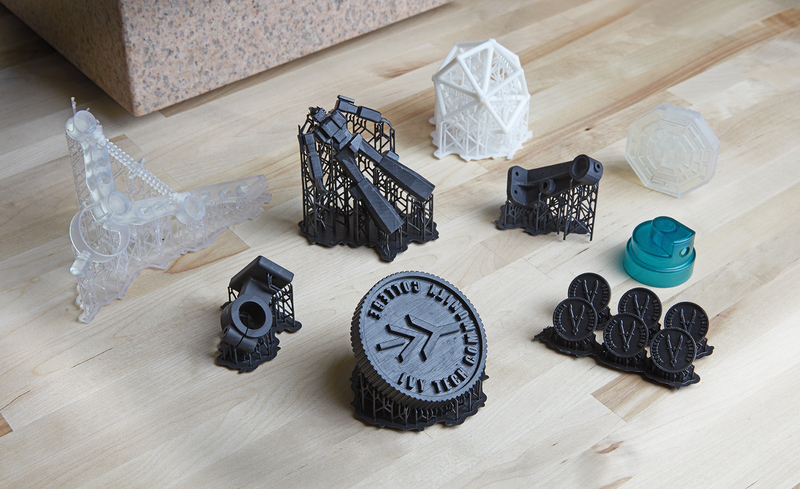 Ivy Tech offers students a range of materials for prototyping, including Formlabs Standard Resins and Engineering Resins. 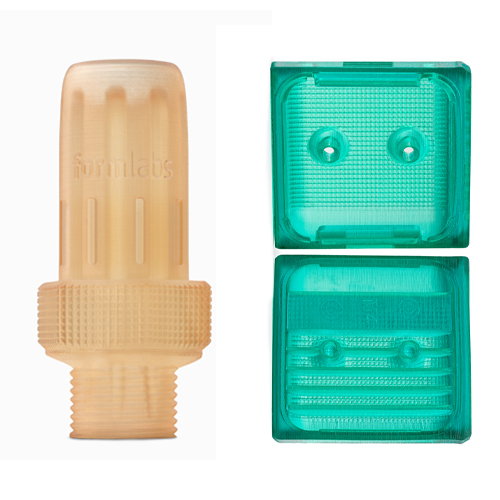 Choose from a variety of free sample parts printed in a different Formlabs resins. The school also opens up 3D printing to the community through a program that allows entrepreneurs and small businesses to use the technology to kick-start their businesses. For example, local company Aerotronic uses the printers to prototype single rotor unmanned aerial systems. “It’s a great way to get involved in the community and show the industry how these machines can be used,” Roth said. 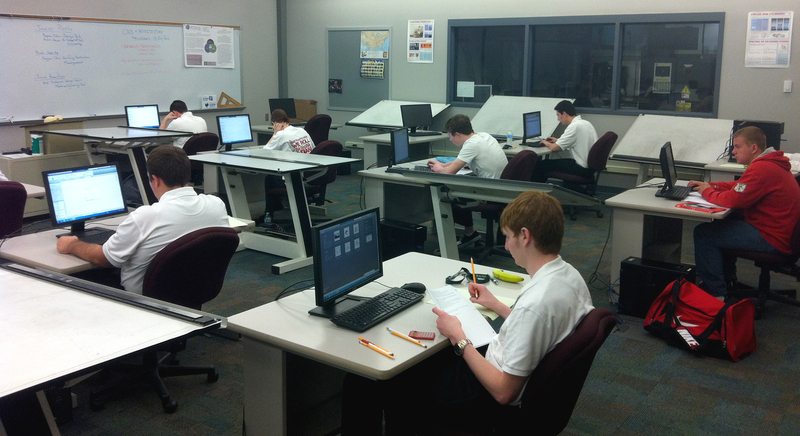 With the new renovations, students in the advanced CAD and IDEA lab work in pods, which encourages collaboration and communication. Having a plan in place was paramount to Roth and Hamilton’s success. “To get the school on board, we created a very detailed plan of exactly what we wanted. We executed our plan little by little and as each change was implemented, we kept the school updated on how it’s helped and impacted the courses we teach,” Roth said. 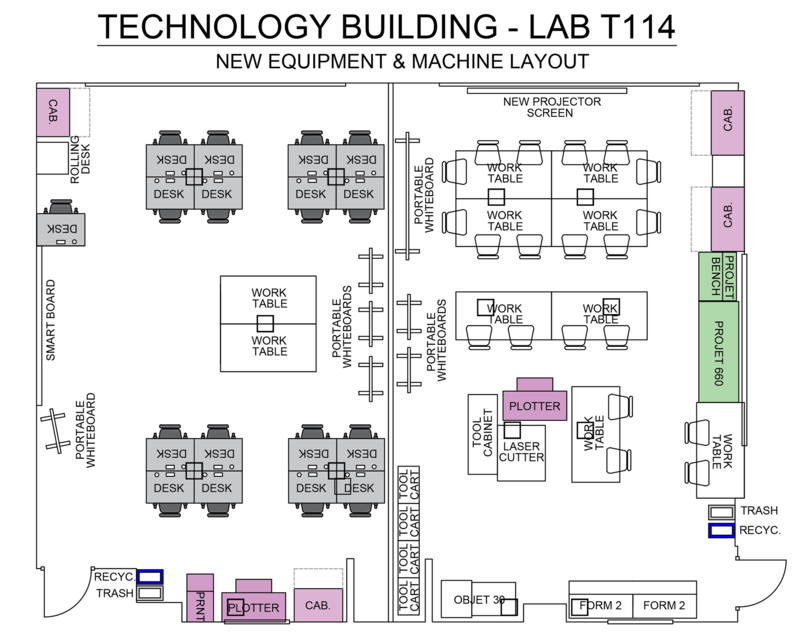 From power accessibility to ethernet, every last detail was outlined in the plan. The first draft of Hamilton’s design for the fab lab layout. Now that the dust has settled in the new space, Roth and Hamilton are focused on showcasing students’ work to the industry and prospective students. The plan is to collaborate with companies in the manufacturing and architecture industry and have them give feedback to students and faculty. Roth and Hamilton also plan on more collaboration with other programs in the school, including advanced automation and robotics, and machine tool technology. “We want to be the shining star of the school and empower this industry to continue to innovate and utilize the technology we have at our fingertips,” Roth said. 3D printers are quickly becoming an essential tool for educational labs and classrooms around the world. Learn how to choose which technology is the best match for your curriculum and lab spaces. Which 3D Printer Best Fits My Curriculum?